*** Buyer financing fell through! VA Appraisal for over sales price, Inspections done! *** OVER ¾ ACRE, PARTIALLY WOODED LOT, ONLY 5 MINUTES FROM DOWNTOWN FORT WAYNE!! Enjoy the shops and restaruants of East State Village just around the corner! This turn-of-the-century home offers an OVER-SIZED 2½-CAR HEATED GARAGE + SHED, HUGE FENCED YARD, and a lot of very cool features of yesteryear like 10&apos; Ceilings, hardwood floors, transom windows above the bedroom doors, antique light switches, built-in telephone cubbie, antique claw-foot tub, built-in hutch, enclosed front & back porch! The huge dining room has a spacious arched opening to the living room can accommodates large family gatherings/entertaining. Loads of NEWER WINDOWS let the light pour in to create a bright & cheery place to call home!! If you're looking for a MAIN LEVEL MASTER BEDROOM, minor modifications will allow for the parlor to become the master bedroom suite with a full bath only steps away—leaving 4 additional bedrooms upstairs! Great Storage * Awesome Backyard * Convenient Location—EASY ACCESS TO PARKVIEW HOSPITAL RANDALLIA, GLENBROOK MALL, PURDUE UNIVERSITY FW, NORTHSIDE HIGH SCHOOL, CONCORDIA HIGH SCHOOL, ST. JUDE'S CATHOLIC SCHOOL, NORTHSIDE PARK & SWIMMING POOL! 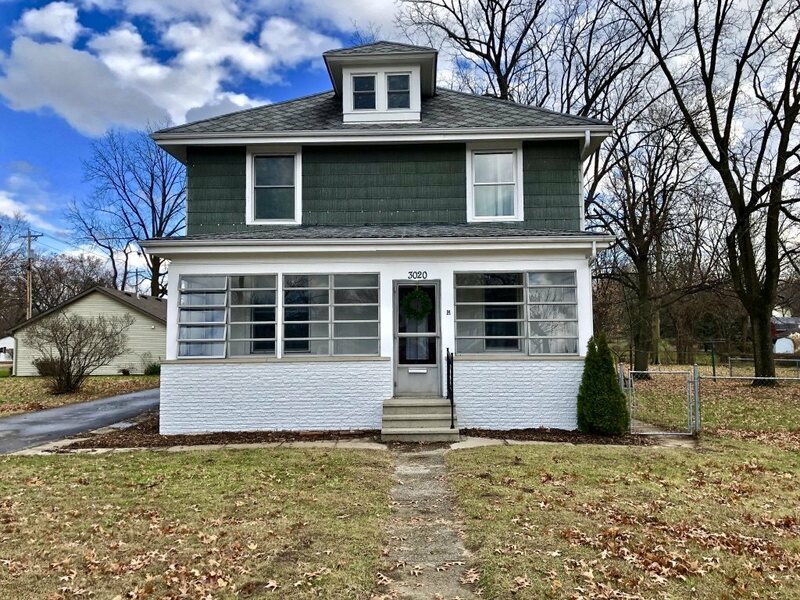 This comfortable and livable home awaits the buyer who relishes the opportunity of providing finishing touches to this solid home!